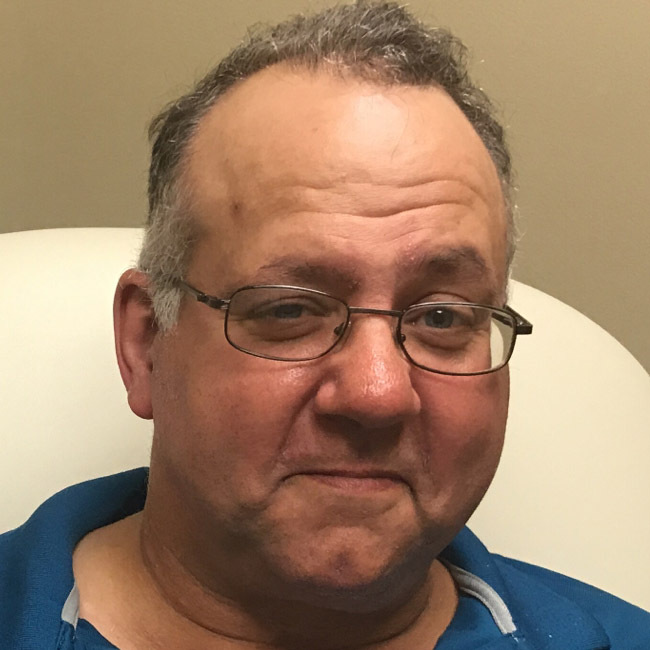 "I chose ORBACTIV® as an initial treatment because it is a single dose antibiotic and could potentially avoid a lengthy hospital stay for Lisa. 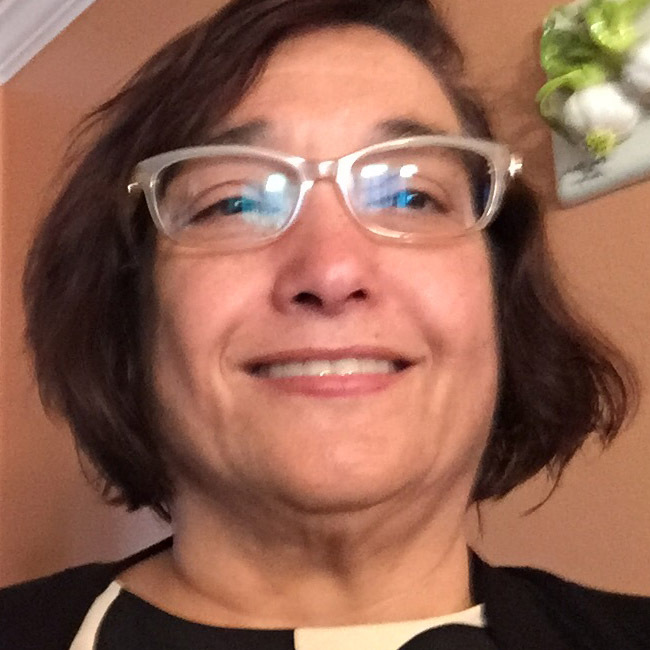 In my experience with ORBACTIV®, Lisa is a good candidate for this drug and consequently responded to the treatment." Lisa is a 58-year old avid hiker and an insulin dependent diabetic. 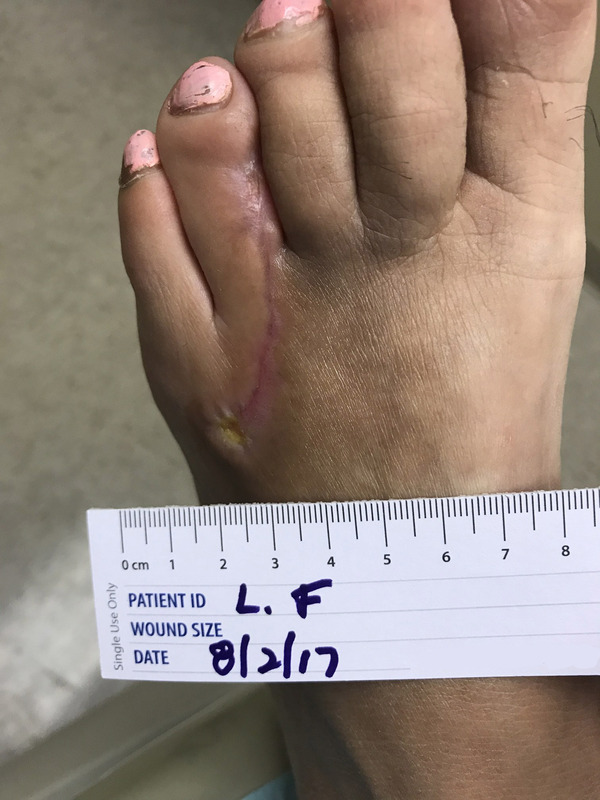 She developed a blister on her foot during a hike, which burst and got infected. She was seen by her primary care physician 7 days later and was immediately referred to Dr. Davidson. 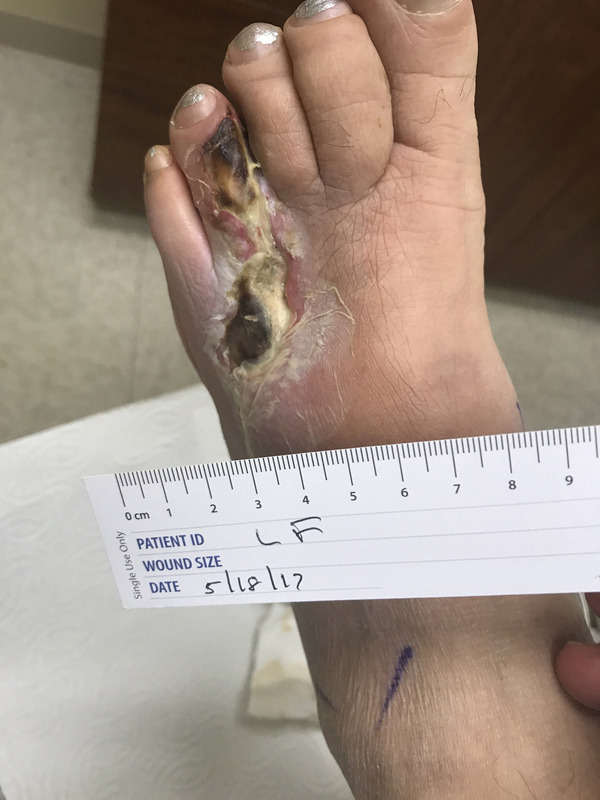 Lisa presented on an emergency basis from her primary care physician with a very acute soft tissue infection without any drainage of her foot. Her foot was markedly swollen, with an open wound on the top of the fourth toe. 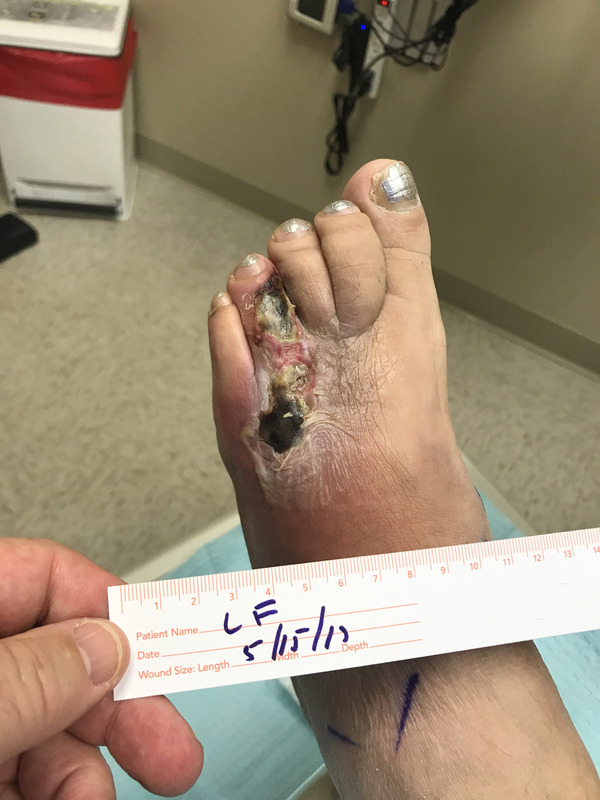 She was diagnosed with cellulitis. The treating physician is a paid consultant of Melinta Therapeutics, Inc. 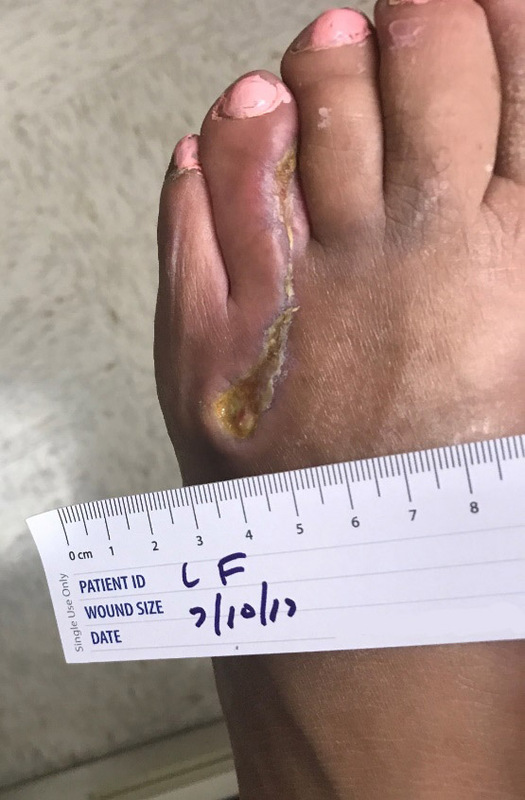 This case study is an actual patient who was treated with a single 1200mg dose of ORBACTIV®. 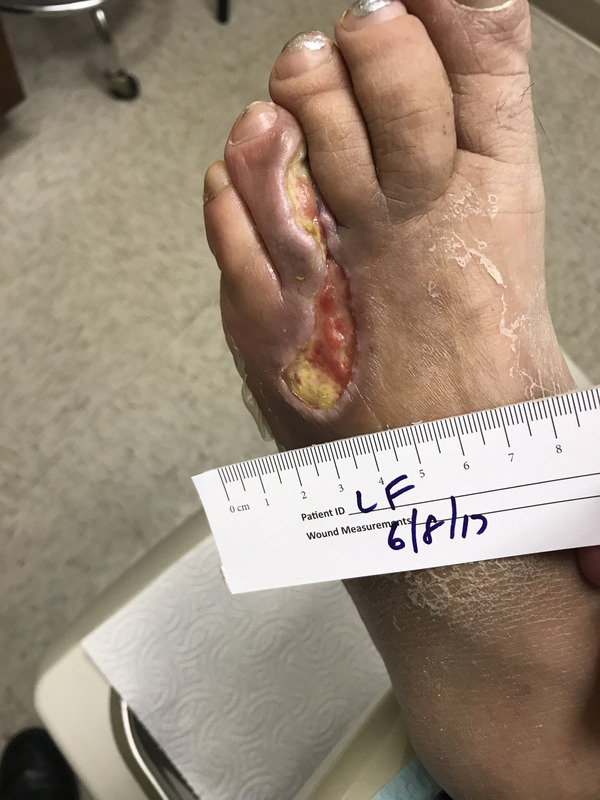 No additional treatments were given to the patient for this infection. Results presented are consistent with results observed in the SOLO trials of patients with ABSSSI. In the SOLO I and SOLO II trials the clinical response rates at 14-24 days for patients receiving ORBACTIV® were 79.6% and 82.7% respectively. Click here to see clinical study results from the SOLO trials. Individual results may vary. Lisa is a 58-year old avid hiker and non-insulin dependent diabetic. 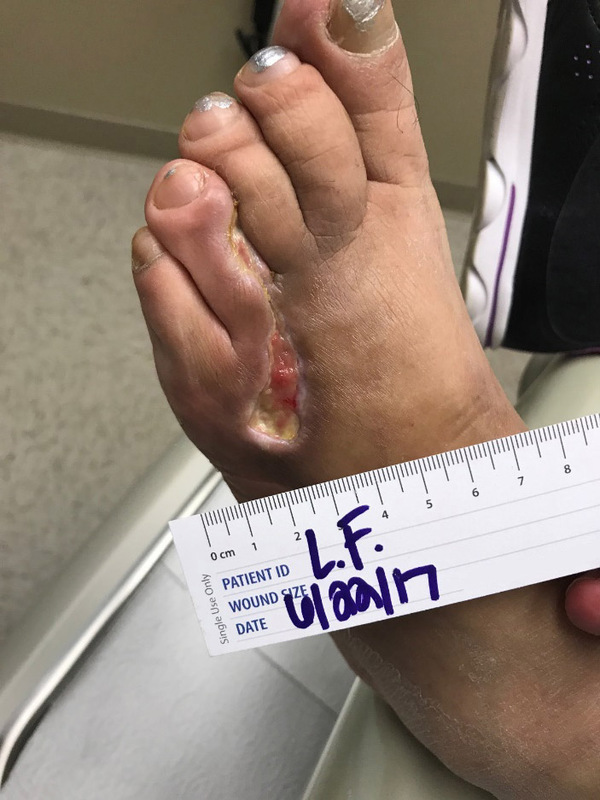 She developed a blister on her foot during a hike, which burst and got infected. She was seen by her primary care physician 7 days later and was immediately referred to Dr. Davidson.